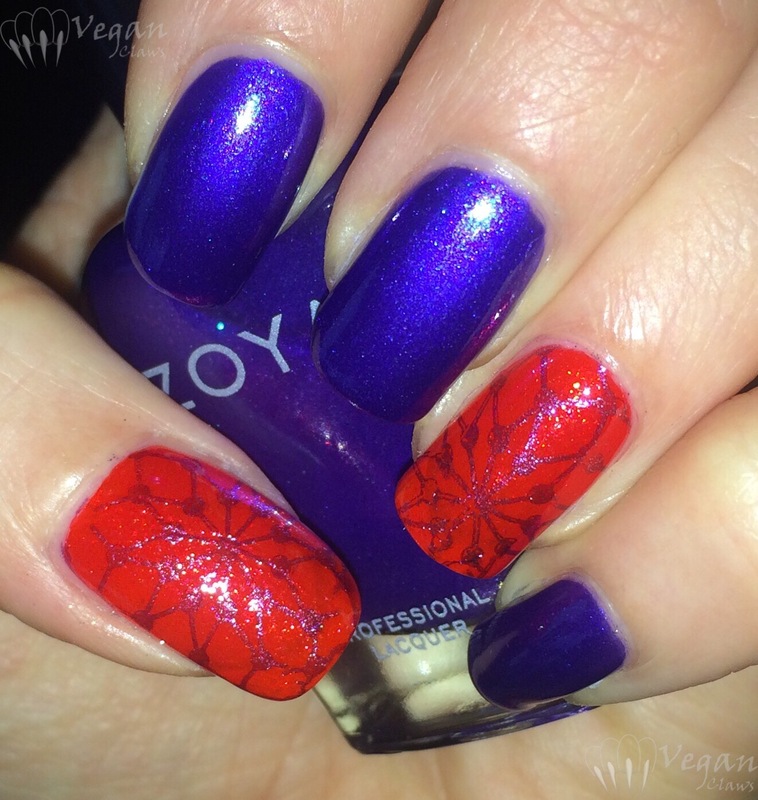 Today I have entirely-too-many photos of a couple of beautiful discontinued Zoyas. 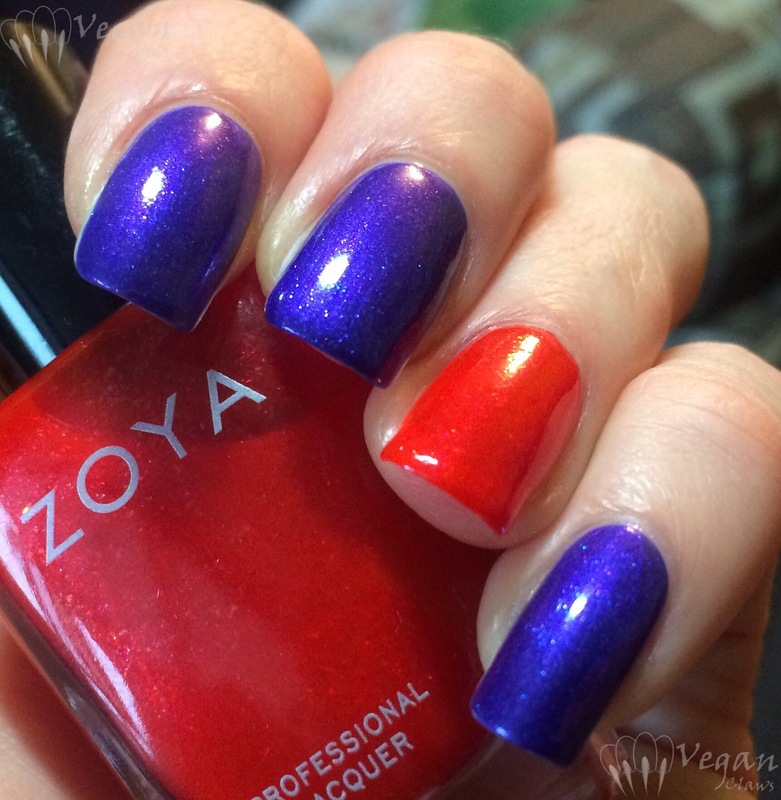 Zoya Valentina is a gorgeous red with a pinkish tone and subtle duochrome shimmer that shifts to gold at an angle. I used two coats of Valentina here but the second was hardly needed. Zoya Denise is also a pinkish red, sometimes appearing more pink or more red (I used it in 3 coats on my toes and it seems more red, here in two coats seems more pink) with chunky golden fleck shimmer. She’s kind of like a pinkish-red sister to Anastasia, Pru, Ivy, if you’re familiar with those (also discontinued) Zoyas. Here they are in bright sunlight. And here are some not-so-good photos in artificial light, they give a better idea of how Valentina looks most of the time (more metallic) as opposed to in bright sun. 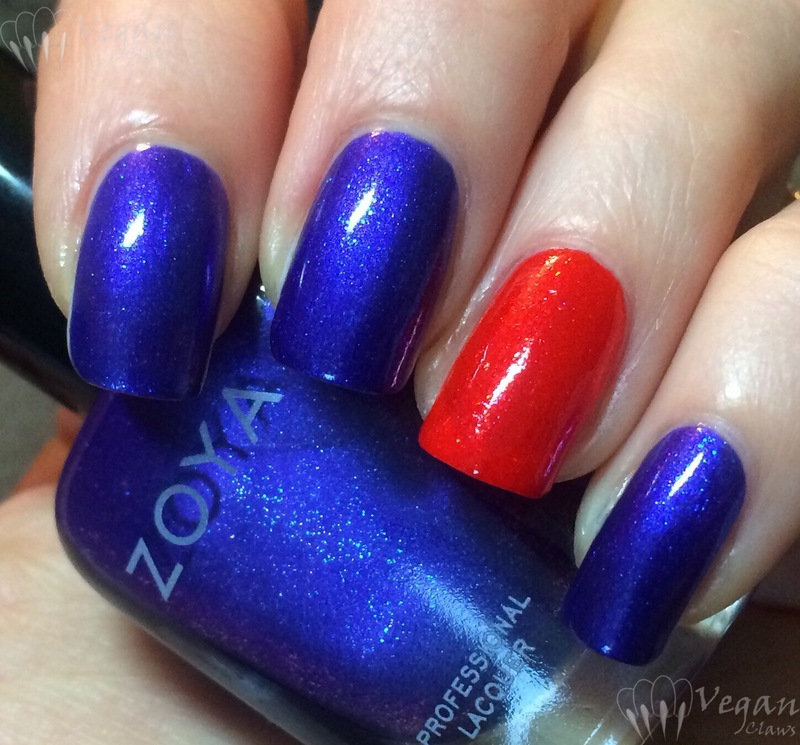 Here are a few Zoyas that I swatched recently! 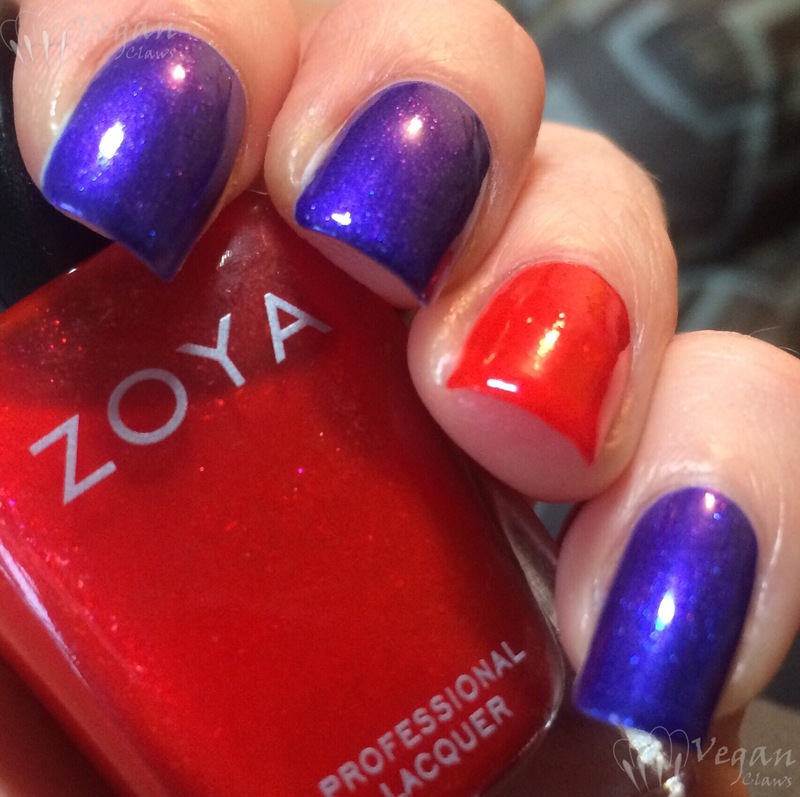 I was curious how this compared to the base shade of a couple of the Zoya satins. 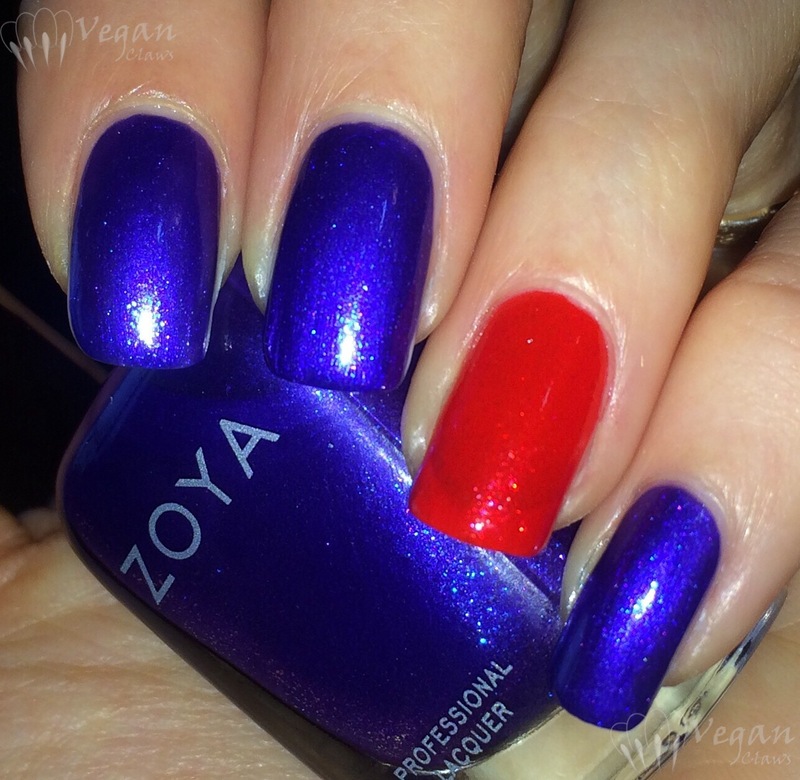 Comparison: Zoya Nevaeh, Zoya Ana (2 coats), Zoya Brittany (2 coats), Zoya Nevaeh. 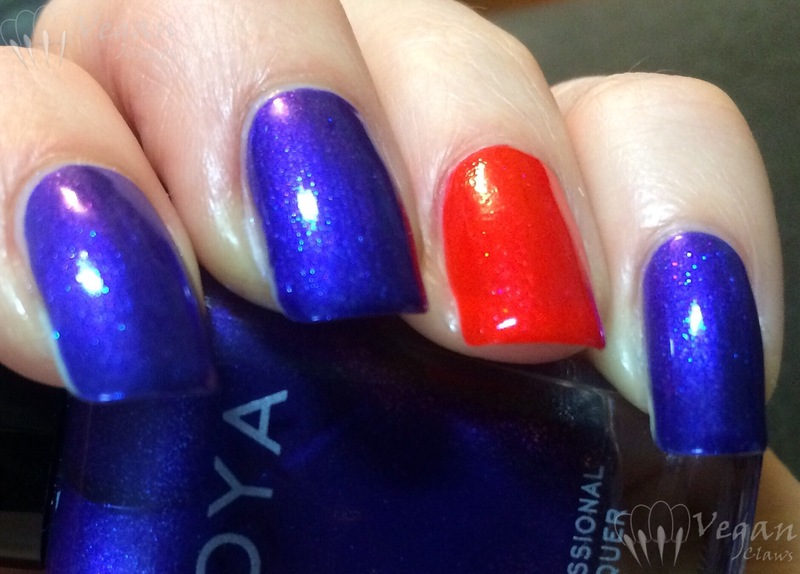 Left to right: Zoya Nevaeh, Zoya Ana (2 coats plus top coat), Zoya Brittany (2 coats plus top coat), Zoya Nevaeh, with flash. 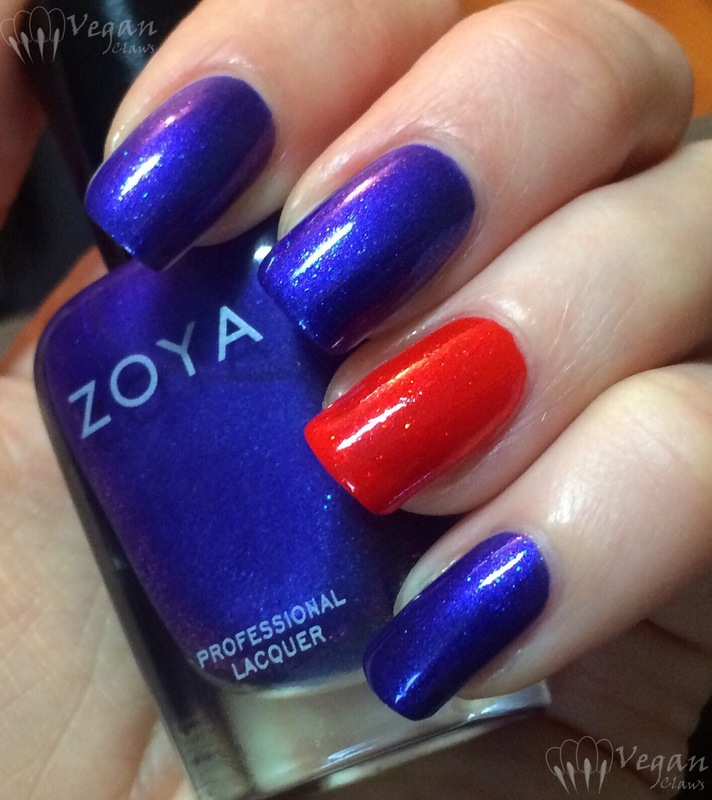 Zoya Clover, 3 coats. Some of the photos have top coat and some don’t. This yellow-beige toned off-white has a very subtle shimmer that only shows in bright light. Three coats of Phyllis shown here. It’s a sheer peachy shimmer with a slight pink-to-gold duochrome… pretty! 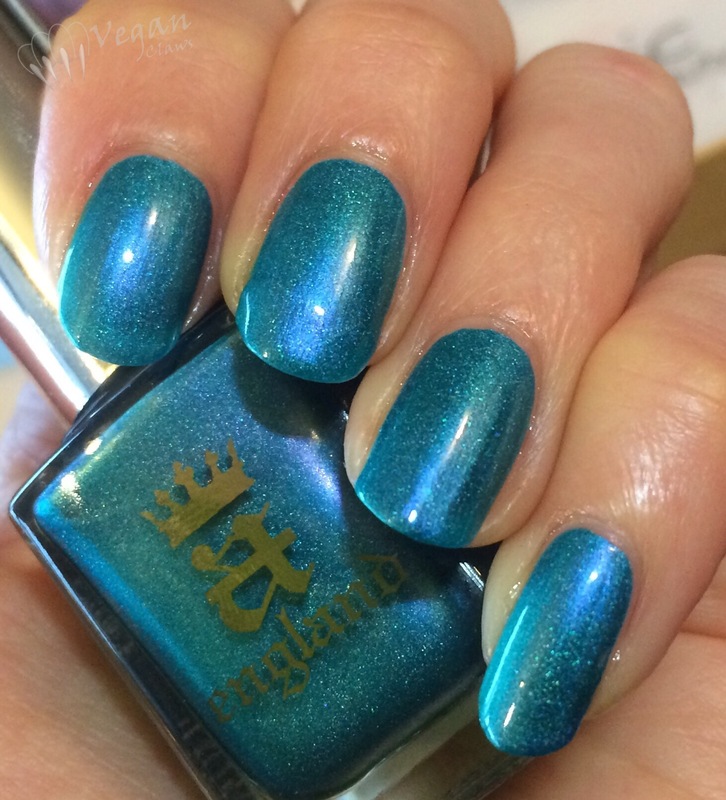 Here is Whispering Waves on its own; two coats plus top coat. 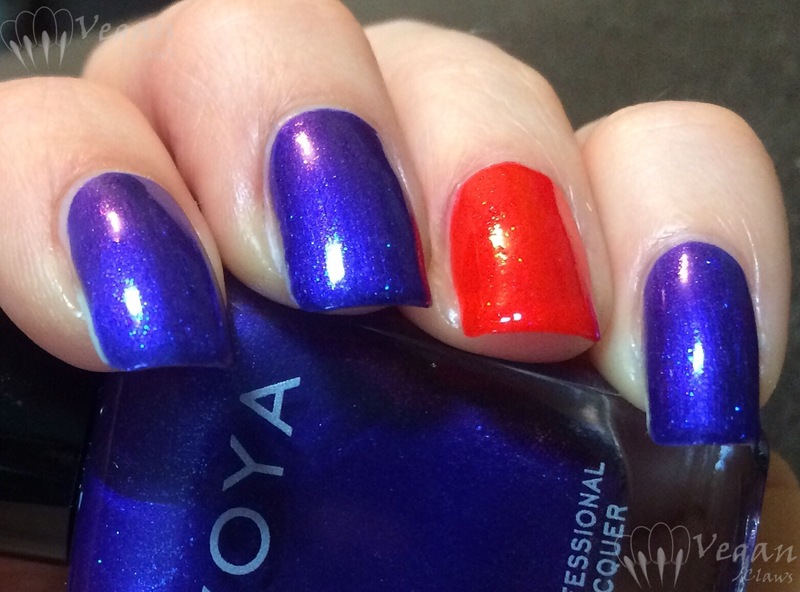 Zoya Isa is a great blue-toned purple with blue-to-pink duochrome glass flecks. 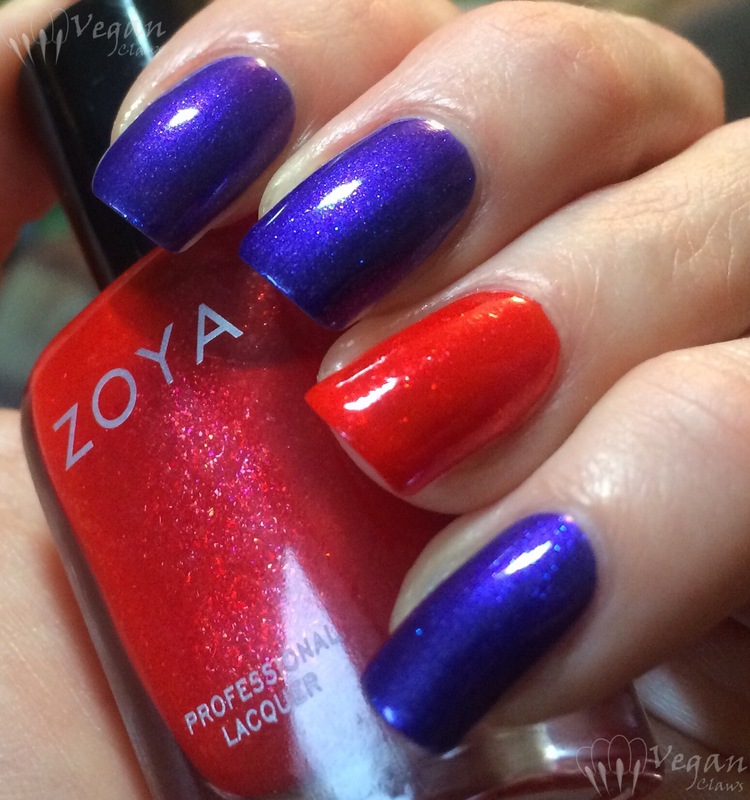 Zoya Aphrodite is a red jelly with pink-to-gold glass flecks. I used two coats of Isa and three of Aphrodite. 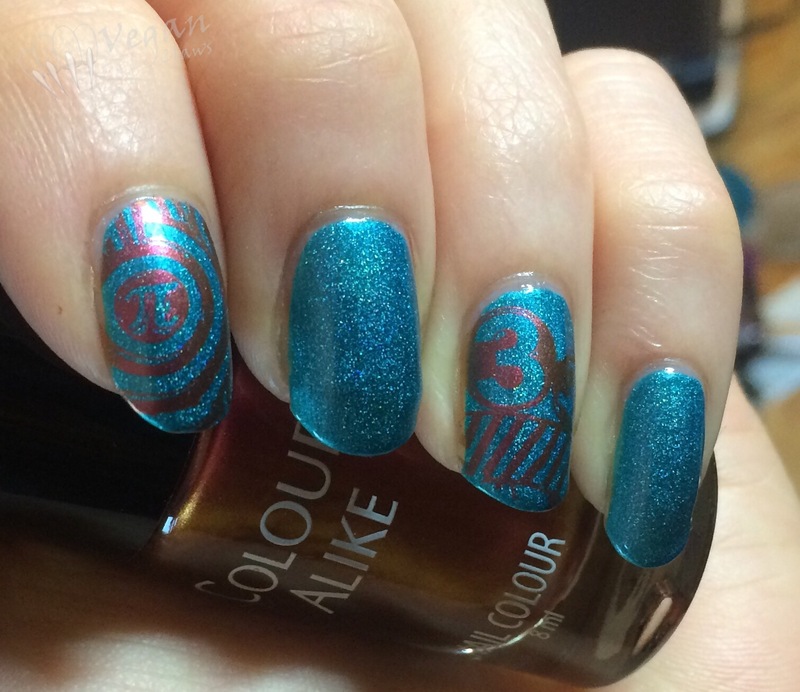 I added stamping on Aphrodite using LA Girl Millennium and an image from Pueen Fancy Lover 01. Picture Polish Revenge and Nemesis are gorgeous glowy burgundy duochrome shimmer polishes, without and with scattered holo, respectively. I used Revenge as an accent nail on my ring finger. I did two coats of each polish, no top coat here. 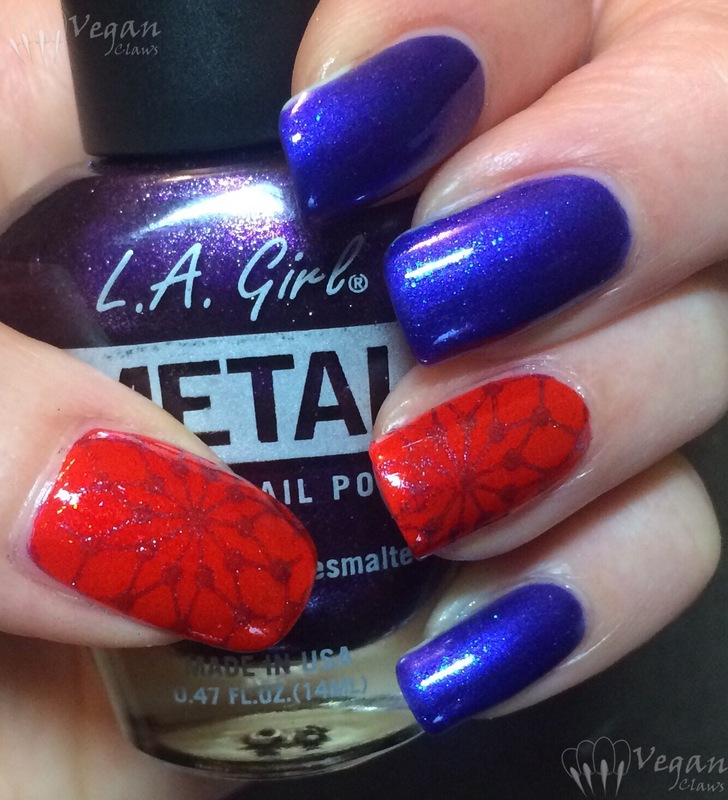 I had better share this fall-themed manicure before the snow flies, which fortunately hasn’t happened yet here! 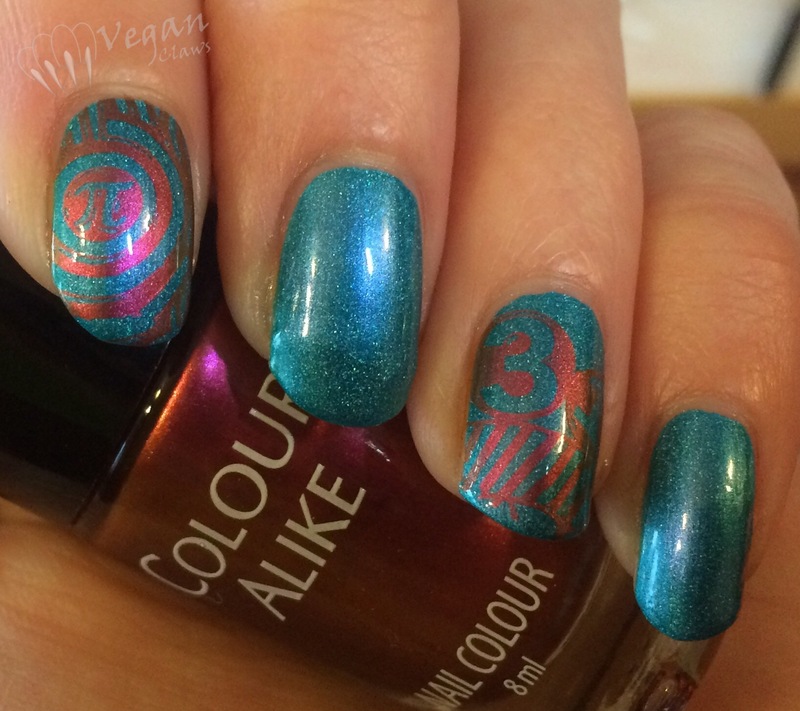 The base for this mani was Emily de Molly Copper Patina and Femme Fatale Infamous Riddle. 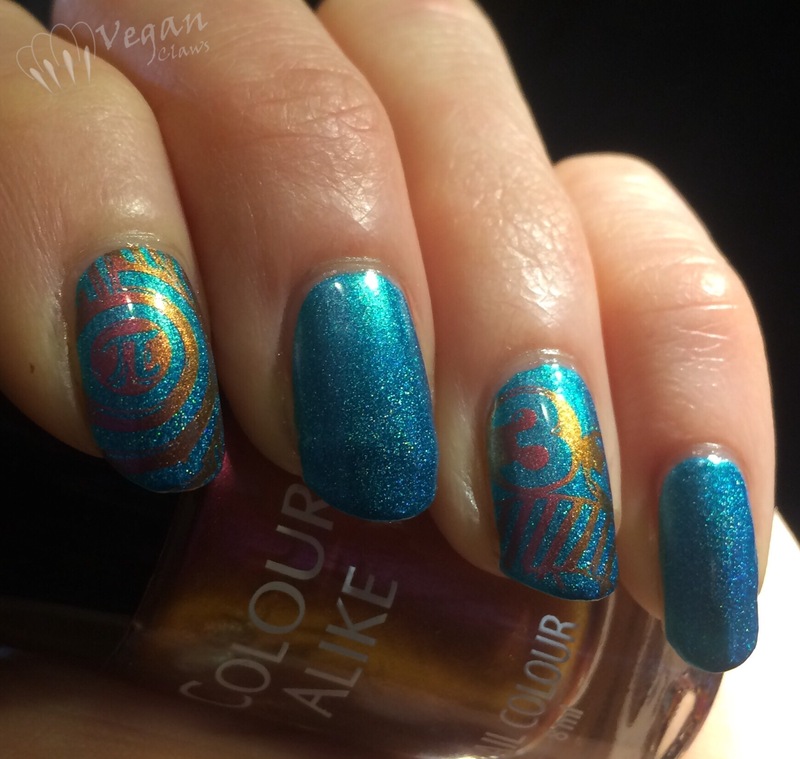 Copper Patina is a turquoise creme with pink-to-gold duochrome shimmer. I used two coats plus top coat. 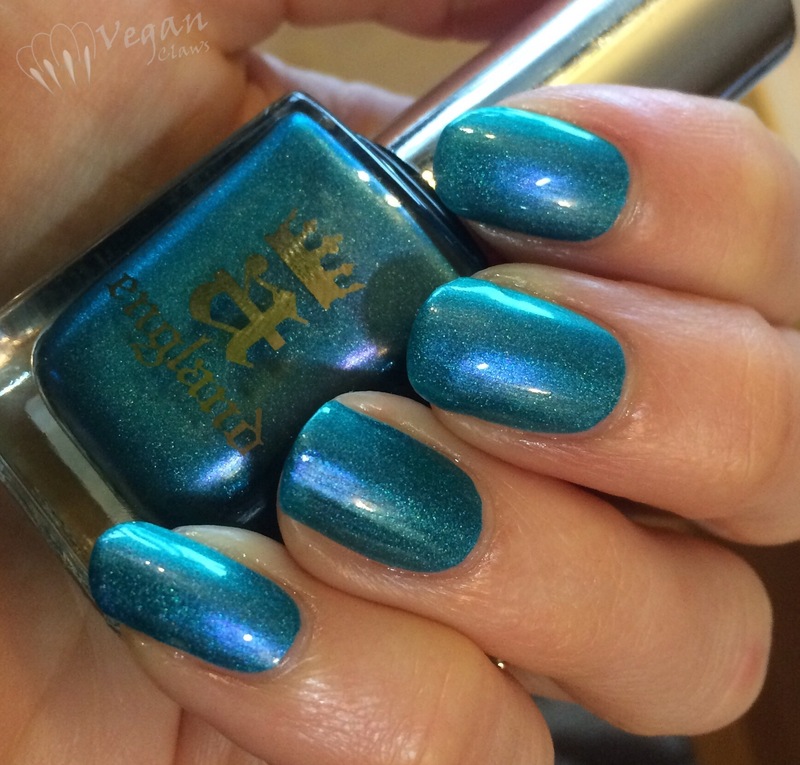 Infamous Riddle is an olive-leaning green jelly with strong red-to-gold duochrome shimmer. I used three coats plus top coat for this one. 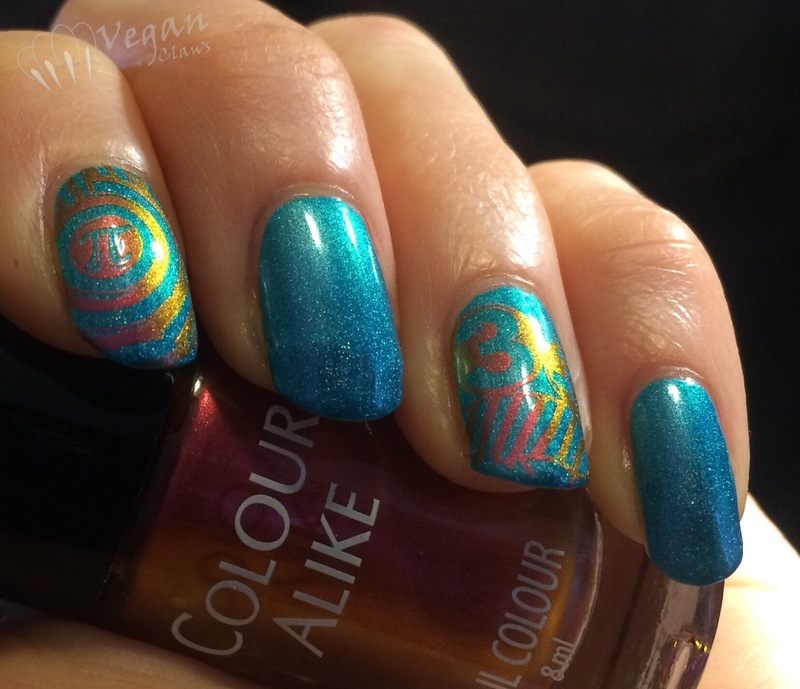 I really love both of these polishes! 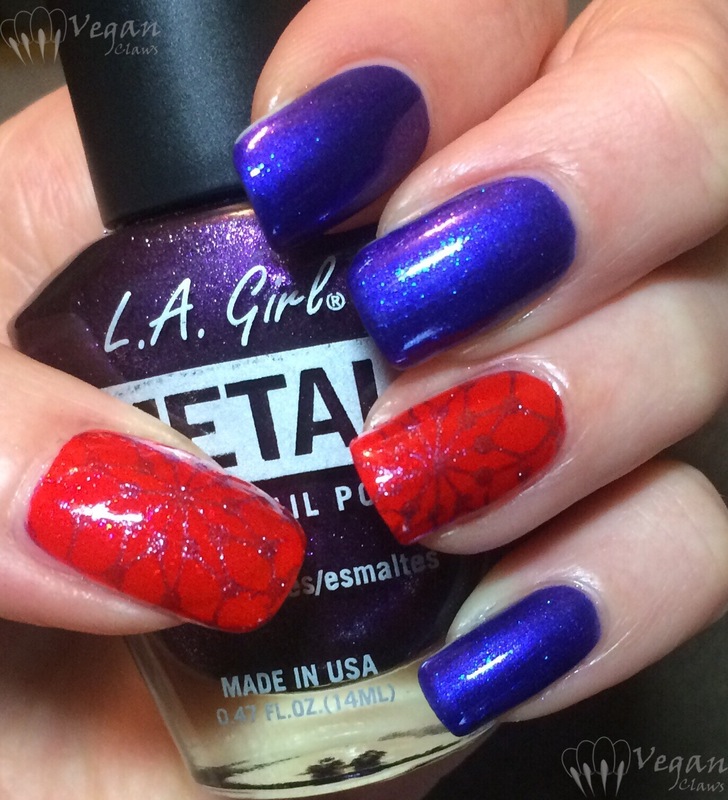 I stamped fall leaves and trees on them using Kleancolor’s Metallic Orange, Metallic Mango, and Metallic Brown. The plates used were Bundle Monster BM-04, Hehe 048, and Born Pretty BPL-015 for the tree.